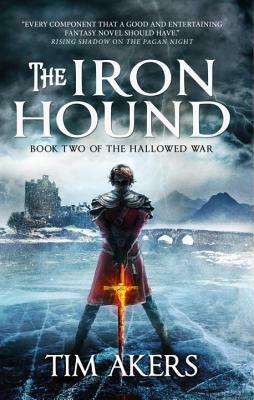 This week’s victim: Tim Akers’ The Iron Hound. I’m really excited to read this book. If you read my review of the first in the series, The Pagan Night, you’d know I have some opinions regarding not only the characters, but the situations they find themselves in. It was such a compelling read. And the way that book ended, I’ve been pretty anxious to find out what happens next and to see if my allegiances that I swore to at the end still hold true. Based off the teasing description above, I know readers will be in for a fantastic adventure and I, personally, am ready to start it.